It was reported last month that Snapchat was working on rolling out ads in its Stories sharing platform which users will not be able to skip. It was reported that the short ad videos would launch sometime in the middle of the existing month. Moreover, it was said that they would not be present inside user-generated Stories. Seemingly, both of the aforementioned notions were true. So let’s dive in to see some more details on the short video ads and where are they integrated. 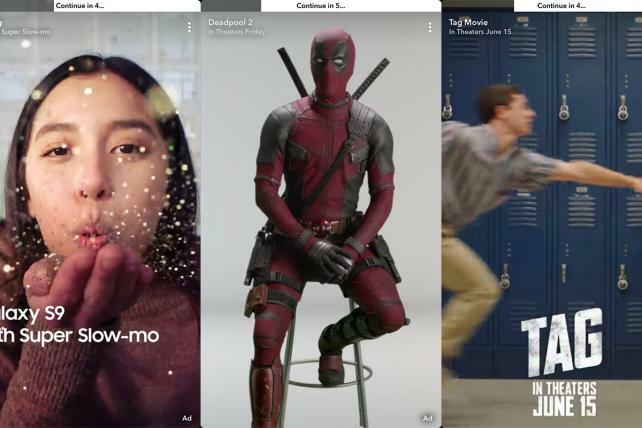 As reported by AdAge, Snap’s “Commercials” are now playing within the platform’s original shows. Be sure to take note that the ad videos are only 6 seconds long. 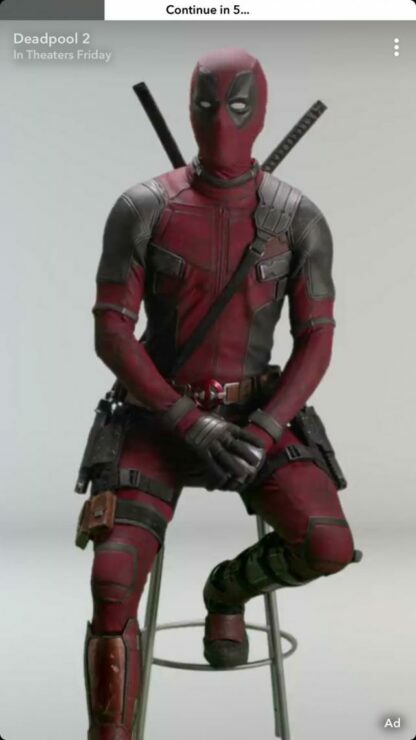 The Ads show off brands like Samsung, Snapple and also upcoming movies like Deadpool 2. Another thing to note here is that users will not be able to skip the ad. So whatever you’re doing, you will not be able to skip it and watching it is all you can do. AdAge points that Snapchat hopes introducing ads within its platform will make it more enticing for brands. Moreover, this will also allow the company to generate more revenue. The ads which will appear will not link to longer videos or to a specific host website. The 6 seconds video ads will simply play and disappear. One implication for brands is that they will not be able to track the effectiveness of the operation. Snapchat is also in the middle of re-introducing a complete design change after the controversial update went live earlier this year. Now, the company is looking to bring back the old design to some extent after facing criticism from not only users but celebrities as well. There will be more to the story, so be sure to stay tuned in for more details. This is all for now, folks. What are your thoughts on Snapchat’s implementation of short 6 seconds long video ads on its platform? Share your views with us in the comments.